Merry Christmas from Matching Dragoons! 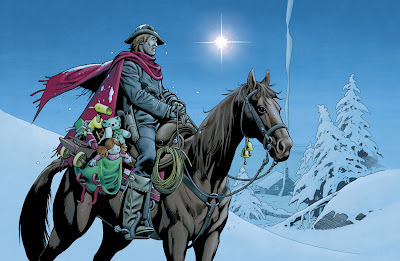 We'll be closing up shop until next week but until then you can relive the wonderment of a Jonah Hex Christmas (that I posted 3 years ago, yeesh!). Have a blessed Christmas, celebrate with folks you love and remember the Christ who was born sooo long ago. Peace to you. 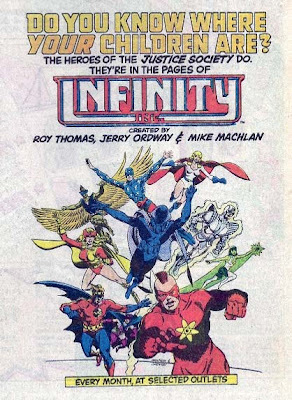 House Ads #29 Infinity Inc. I read this book for some time and I have to admit, I miss Roy Thomas. This guy made a career out of historical/comic book research. Another Jonah Hex set photo discovered..
..by me. 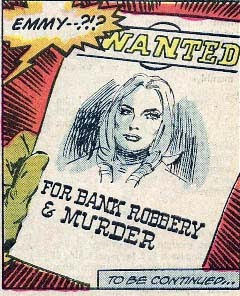 Other folks have seen this before, but I was poking around the Jonah Hex Corral and found a few links that led me here. Looking at the picture, you can see the scale of this thing and it is not a miniature. From what I can tell, they haven't completed it when this photo was taken. It will look even better in the film. 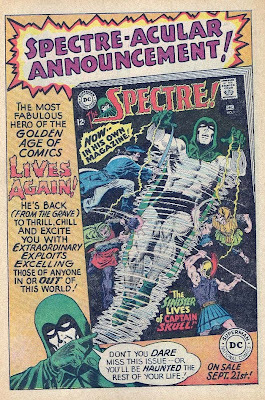 Wow, Jim Corrigan sure has a tough time of it but he isn't above threatening readers in order to sell some books. 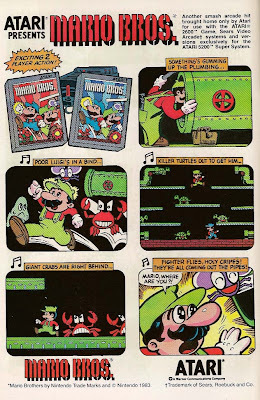 This is from waaay back in the day before the Brothers were considered "Super" and when Luigi got more face time than his upstart brother Mario. I remember plunking in quarters to play this one at the arcade. Via the Jonah Hex Corral, I found this tidbit on some casting calls (?) for Jonah Hex. Slashfilm states that there is some rewrite/additions going on. Two weeks of reshoots and/or additional shooting will take place for Jonah Hex at the beginning of the year, and a set of casting call notes has gone out describing the characters involved. There are a few significant ones: Jeb Turnbull, son of John Malkovich’s primary villain, and Cassie. .... Casting these characters implies that a couple of sequences will be shot that are flashbacks to Hex’s past. Cassie is mentioned but not seen in earlier drafts of the script. One draft I read had an extensive flashback featuring Jeb Turnbull, with a couple of big scenes, so the quick either/or supposition is that either that sequence wasn’t shot, or was extensively changed at the time and is now being reworked again. The former seems more likely. President Andrew Johnson is also being cast. That flashback was set in 1862, too early for him to be President (he took office in 1865) so there could be more than just the flashback to shoot. Also, I’m not sure how many drafts of Hex exist after the one I read, so don’t think any of this is set in stone. Yup, Cassie, a Native American (nope, don't think so), wife (Nope again). But it also raises more questions than it answers. For some time now, IMDB has listed Natacha Itzel as Jonah's wife and she is Hispanic. So is this casting call a replacement for Natacha? Does the story present Jonah with Cassie as a wife, sadly killed and then Natacha as another wife? Is Natacha going to play Tall Bird? 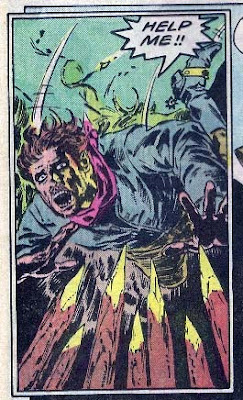 And most importantly, which one of the two women are going to become a zombie version of Talluah that feasts on the rotting corpse of Mei Ling? And let's not forget "Travis" who must be a match to Brolin & "Cassie". Sounds like a misnamed offspring. Less than 200 days to go & I think I can hold on, if I tell myself that reporters have no idea what they are writing about.